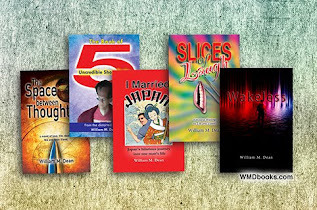 William M Dean - Slices of Laugh: Can Marketing Help Your Writing? Can Marketing Help Your Writing? It's 10pm and I've been surfing Twitter and Facebook trying to understand how what little I do on the one effects what little I've done on the other. Meanwhile, three days ago, a truly supportive friend of mine (Judy Marston) sent me links to 4 marketing articles which she says are essential for my introduction to the rollicking, online world of marketing. 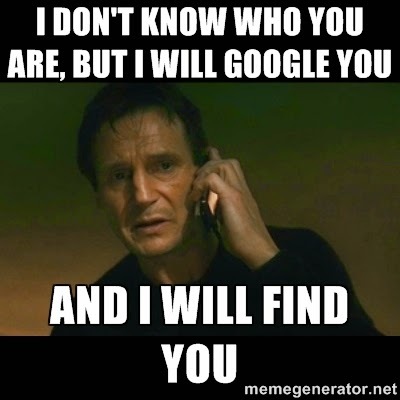 Many times I've come excitingly close to clicking on those links. Every author has his/her secret motivator... ambition, ego, massive debt, obsessive compulsive disorder. (Is OCD supposed to be hyphenated?) For me, it's Marketing and Procrastination. By the way, the answer to the Twitter/Facebook thing is, apparently, "not at all." By coincidence, "Not at all" is also the answer to "Can Marketing Help Your Writing?" which is the title of this article only because I was told that "Can Marketing Help My Writing?" would not generate as many re-Tweets.